Want to get on a tour right now OR rent-a-bike with no hassle? iBikeBelgrade is a bike tour and bike rental company situated in Belgrade, Serbia. It is a part of the iBikeCities network that spans across South East Europe. You can find an iBike shop in Belgrade, Vienna, and Budapest. We offer high-quality bikes available for rent (city, ebike & trekking bikes) Depending on your preferences and the time available you can have a quick one hour ride or explore the city on your own for a whole day and return the bike the next day. Our friendly staff will be happy to suggest the best bike routes in Belgrade and the sights that shouldn't be missed along the way. Also, we offer a wide variety of guided sightseeing tours which will help you experience Belgrade and learn more about Serbia's history and culture. The guides are young, trained locals who are enthusiastic to show the city to its visitors and share the stories. You can join one of our daily tours or book a private tour via phone or by clicking here. The daily tours start every day at 10 am and 2 pm at our bike shop in the street Braće Krsmanović 5. The Riverside tour is at 10 am, and the City Center tour starts at 2 pm. Click here if you wish to learn more about the tours we offer. Visit the must-sees in the center of Belgrade on a cool cruise through town. Did we mention that we make a stop at a local ice cream parlor? Belgrade from Communism to Today. Discover another side of Belgrade while enjoying the riverside breeze. If you’re just passing through Belgrade - we recommend our Great Belgrade tour, a combo of the Riverside and City Center Highlights tour. Join our bike-tours and discover another side of Belgrade. Our young, English speaking guides will tell you the stories of the city, from its history to life nowadays. Along the way they can show you where (not) to go out, which restaurants are best and all other things you need to know to make your stay even better. If you want to start at another time or with your own guide please book a private tour or group tour ! iBikeBelgrade wants to give people a great time by showing them Belgrade in a fun and informative way. We believe a bike-tour is the best way to experience all sides of Belgrade in one go. For the founder of iBikeBelgrade this love was so strong that he decided to leave Holland and in 2011 move to Belgrade to show this city to its visitors. He left everything behind, but took the only thing that every Dutchman needs to survive: his bike! Together with some great people from Belgrade, iBikeBelgrade was formed to make you fall in love with Belgrade too! 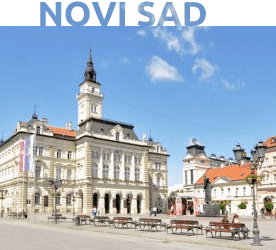 You can also discover Novi Sad and Budapest with us! There are many ways to explore Budapest, but the best way is by bike. 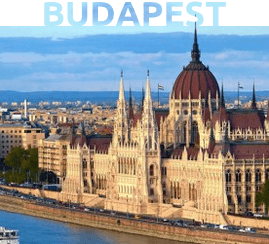 Ride form the impressive parliament building to the beautiful Andrassy Avenue and feel like you’re in Paris, Berlin and Vienna at the same time!